This is a recipe I created for my husband after he went to the Cheesecake Factory on a recent business trip and joked about wishing they had beer cheesecake. I immediately decided to create one for him. As I planned out the recipe in my head, I thought I wanted to make one with a caramel glaze on top, which soon evolved into a beer caramel glaze. I also knew I had to make it with a pretzel crust, because what combination is more classic than beer and pretzels? I must say, this was an excellent choice for this cheesecake. 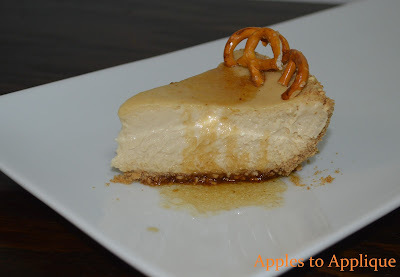 The beer was full of flavor and the hazelnut undertones worked well with the cheesecake and the glaze. You could use any kind of beer, but I recommend spending the money to get a good beer. We only do quality beer around here; I think it would be a shame to make this decadent cheesecake with, say, a Budweiser. 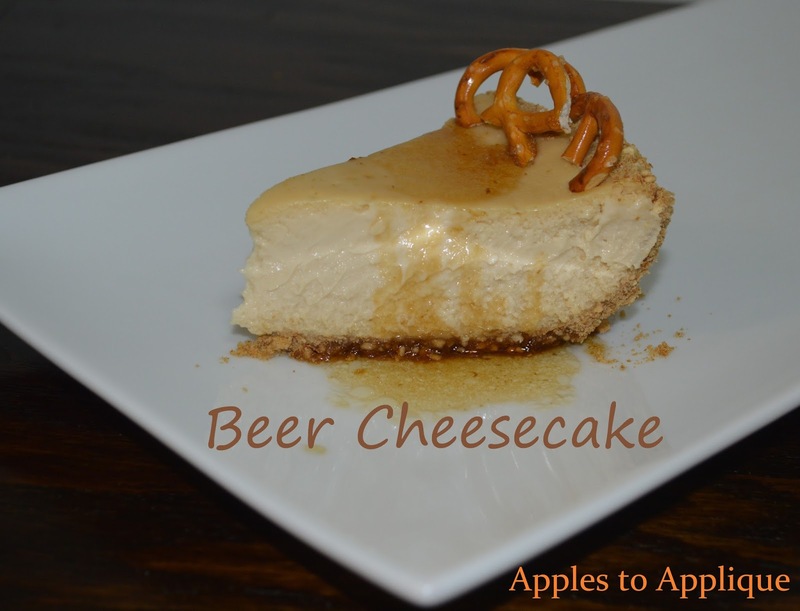 :) However, I'm sure a lighter beer would also taste delicious in this recipe with a different type of topping or glaze.The cheesecake is also tasty all on its own, with no topping at all. I'm curious to try this recipe with different types of beers...maybe a banana bread beer cheesecake garnished with bananas? A hard apple cider with a cinnamon glaze? There are endless possibilities! Anyway...this combination turned out really well, and was a big hit at our Labor Day get-together. To make this cheesecake, you will need an 8- or 9-inch springform pan, which you can get from Amazon. Preheat oven to 350°F if using a silver 8- or 9-inch springform pan (or to 325°F if using a dark nonstick 8- or 9-inch springform pan). Process pretzels in the food processor until you have fine crumbs. Mix pretzel crumbs, butter and brown sugar. I like to throw the crumbs, butter, and sugar back in the food processor, but you could mix it in a bowl with a fork. Press firmly onto bottom and halfway up side of pan; set aside. Beat cream cheese and sugar with electric mixer on medium speed until well blended. Add beer and vanilla; mix well. Add eggs, one at a time, beating on low speed after each addition just until blended. Bake 1 hour to 1 hour 10 min. or until center is almost set. Turn oven off. Open oven door slightly. Let cheesecake set in oven 1 hour. Remove cheesecake from oven; cool completely. Refrigerate at least 4 hours or overnight. 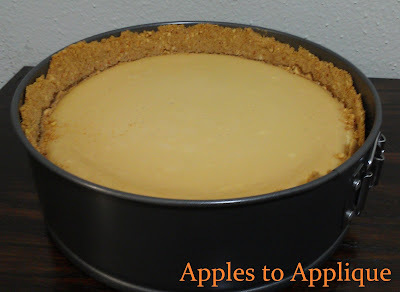 When ready to serve, run a knife around edge of pan to loosen cheesecake from rim; remove sides of pan. Make beer caramel glaze just before serving. In a heavy saucepan, melt butter. Add brown sugar, cooking and stirring for about 1 minute. Add beer and milk. Bring to a boil, stirring constantly for 2 minutes. Cool slightly and spoon over individual slices of cheesecake. Garnish with pretzels, if desired. I would love to hear what kind of beer and toppings you use in this recipe and how it turns out!